No, we don’t mean the fruit. We’re talking about the human bananas. So what are human bananas? 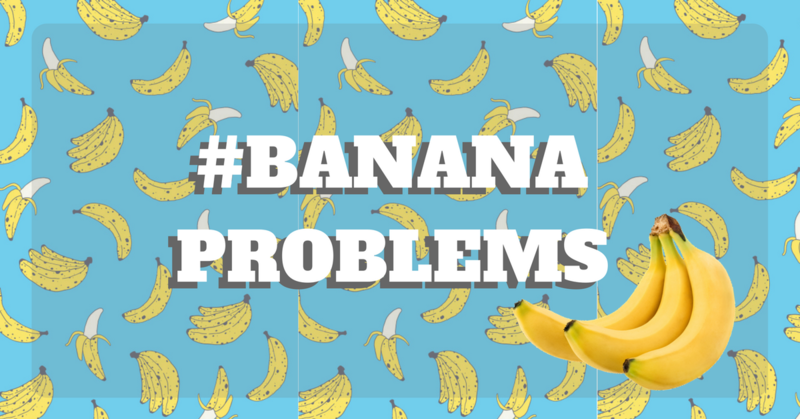 Bananas are Chinese people who cannot speak Mandarin or any other Chinese dialects, and they tend to be less traditional and more ‘westernized’ – which is apparently a thing, and a bad thing according to traditionalists. The fruit itself is also yellow on the outside but white on the inside, signifying how we have the yellow skin but who we are inside are like the ang mohs. I’m sure we’ve all been there when someone says we’re too ‘Western’ or immediately assume we were rich enough to have lived overseas for a long amount of time, or that we have studied in expensive private schools. We also get the oh-so-very-nice “Where you get your accent from? Fake one, right?”. A.k.a we’re not being ‘Chinese enough, as if there’s a level to how much ‘Chinese’ one can be. Apparently if you’re Chinese, there’s a requirement that you must know at least one type of Chinese dialect. Famous sentences we all suffer is the “You should know your roots!” or “You’re not a real Chinese lah” as if there was ever a way to fake what’s in your blood. I think the most annoying would have to be “Your parents never teach or speak to you in Chinese ah?” as if they’re ‘supposed’ to, like our whole entire lives would’ve depended on it. Oh you know those moments where your friends or family members ask you to say certain Chinese sentences, and then when you try – whilst also trying to learn – they laugh really hard… and in your face. And then really loudly, so the whole world can hear, say “your Chinese reaaally cannot pakai one ah!”. The best part is when they deliberately talk to you in a Chinese dialect, forcing us to learn, and if we did try, they would laugh (as said above), and if we refused, we’re apparently too ‘atas’ for their ‘peasant’ language, which is what they assume we think about the Chinese language. …and then going “You won’t get it one lah!” when we ask them what it’s about. 5. I just called you the wrong title. Can we all just allow the bananas of the family to just go “Hi Auntie, Hi Uncle”? So difficult/offensive meh? …is such a pain. I mean, we all love our Bak Kut Tehs but there’s rarely any BKT stores that allow us to order in English. BKTs aside, ordering regular meals in a Chinese restaurant that doesn’t have a menu is also annoying. Us when we look at any menu that doesn’t have English translations. Trying to explain to the ‘boss’ that you want that prawn with the black sauce – and the black sauce isn’t soya sauce nor is it kung pao sauce – can be a challenge. We always have to find a friend who can speak Chinese to come with us just so the dishes we get at the end of the day is correct. We’re never going to know what costs what. My advice (and how I’ve been surviving) is to remember how some keywords such as “fish”, “vegetable”, “chicken” and more look like, so you can scan them in the bill. It is the only way we can show love to our relatives, and especially… our grandmothers. If you can’t play Mahjong with your grandmother during reunion dinners, means you don’t love her – or that’s what everyone thinks when they look at you sitting at the TV hall. Also, you don’t get to gamble and get some extra income. Now, we all have friends or family who love karaoke. During karaoke nights out, we’ll always have that one or two friends that would pick a Chinese song and you’ll either just sit there humming and/or going ‘lalala’ awkwardly or… you just sit there and contemplate your friendship. And there you go. If you’re a Chinese who can speak Chinese, please do lay off the bananas. We get enough flak from our relatives and we don’t need anymore criticisms on how we aren’t ‘Chinese’ enough. Also, with Chinese New Year being here, we should all appreciate our loved ones, and always remember to have courtesy and love for others, no matter the race, language they speak in, or beliefs.